“Terre des hommes“ (of which English version was titled “Wind, Sand and Stars”, and apparently differs greatly from the French version which I read) is a compilation book of some memories of the aviator Antoine de Saint-Exupéry, of his time at the airmail carrier l’Aéropostale.The book was published in 1939, two years later he received the US National Book Award for this book. His most known book, “Le Petit Prince“, was published a few years later, in 1943. Saint-Exupery failed to enter to Naval Academy and started studies of Fine Arts, which he did not finish. While doing his military service, he took flying lessons and there he discovered his passion. 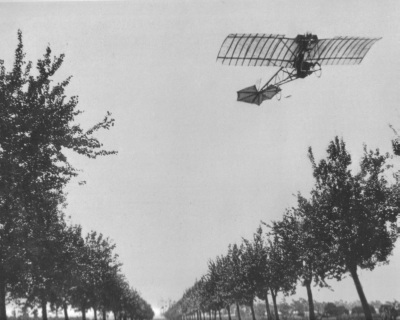 He flew first for the French Air Force, then he was a pioneer in the international postal flight, flying for the Aéropostale between Toulouse and Dakar, and later other lines. Those were years in which aviation differed very much to what it is today, and that is reflected in “Terre des Hommes“, where he pays tribute to some of his colleagues, mainly Henri Guillaumet and Jean Mermoz, and he shares some experiences which seem today unbelievable.Those years at Latécoère (which airline later became L’Aeropostale) must have been truly remarkable. Henri Guillaumet was another pioneer of French aviation who contributed to the opening of airmail routes through the South Atlantic and the Andes. 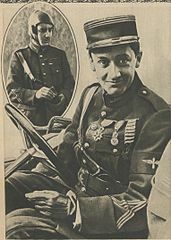 He was said to be one of the best pilots of his time, “Je n’en ai pas connu de plus grand” (I’ve never known a greater one), said Didier Daurat, director of l’Aéropostale. Jean Mermoz, another French aviation pioneer, first flew for the Air Force and then for Latécoère. It is famous the quote from Daurat who, after Mermoz performed his entry flying exam, he told Mermoz “We don’t need acrobats here, we need bus drivers.” Of Mermoz, Saint-Exupéry describes when he was captured in Africa or how he opened routes through the Andes. “Quelques camarades, dont Mermoz, fondèrent la ligne française de Casablanca à Dakar, à travers le Sahara insoumis. Les moteurs d’alors ne résistant guère, une panne livra Mermoz aux Maures ; ils hésitèrent à le massacrer, le gardèrent quinze jours prisonnier, puis le revendirent. Et Mermoz reprit ses courriers au-dessus des mêmes territoires. There are two stories in the book which are breathtaking. The first one describes a crash Guillaumet suffered in the middle of the snow-covered Andes. He crashed in the middle of a storm and once on ground, he covered himself with the postal bags for 48 hours. As there would be no one coming to pick him, he then walked for 5 days and 4 nights (without ropes, axes, food supplies, or any other equipment for the hike). In those moments, he only wanted to get some sleep but he kept telling to himself that his wife and his friends, all hoped for him to continue walking and he could not let them down. To keep himself awake he thought of movies or books and tried to mentally review them in his mind from end to end. However at some point he fell down and was not capable to stand up again. But then, he suddenly thought that in the case of a disappearance the legal death would be established four years later and this would impede his wife to immediately receive the compensation from the insurance policy. This gave him the will to continue walking just for 50 more meters until there was a great rock where his body would be clearly visible the following summer. He stood up and continued walking, not only for 50 metres but for 2 days and 3 nights more and he saved his life. The second story is from Saint-Exupéry himself, when, together with his mechanic, departed from Senegal to Egypt. The last lap would take them from Benghazi (Libya) to Cairo. During that flight they suffered some engine issue which started with heavy vibrations and finally ended in a crash. This time was not in the snow-covered Andes, but in the middle of the desert (close to Simoun). Again, nobody would come immediately after them. Saint-Exupéry started to make some estimates of whether they would find them in 8 days if they had flown straight or in 6 months if they had suffered some drift (derive), and where to walk to try to be closer to civilization. In that situation he remembered the words and the example from Guillaumet and he pushed himself one step at a time. It is daunting to read how in the night he buried himself in the sand to keep the warmth of his body. Four days later, four days of thirst, hunger and lack of sleep, they were found by two Bedouins with camels in the desert in Libya. The figure of Saint-Exupéry is today of worldly fame and I believe that one has to read this book (1) to really know who he was. (1) Apart from “Le Petit Prince“, which I commented here, I have also read his “Vol de nuit” and “Pilote de guerre“, which are short novels based on experiences very close to what he lived and described in “Terre des Hommes“.